4 Bedrooms, 3.5 Bathrooms, Occupancy 10, Ski In and Ski Out Access Pamper yourself in luxury in this stunning ski retreat. No detail has been overlooked for your stay. This property is perfect for two families or up to four vacationing couples. Our recently constructed ski-in/ski-out home is in the Black Eagle Lodge complex, some of the most luxurious lodging that Big Sky Resort has to offer. 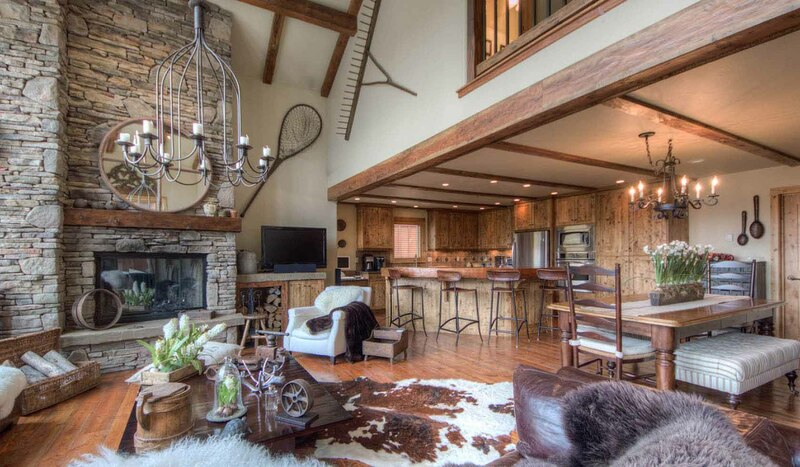 The main level of the home boasts an amazing wood seating area for the kitchen and the open floor plan allows for comfortable gathering apres ski! There is a large Dining table that seats 8 and the bar seating will accommodate an additional 4 persons. Beautiful furnishings and a cozy fireplace make this the perfect spot to relax!